I initially had Alexander Technique lessons because I suffered from painful tension in my neck and back. I also hoped to improve a general overall lack of energy. My Alexander teacher helped me to understand that my reactions to the demands of life created strain and misalignment in my body. This contributed to the symptoms I was experiencing. I learnt to react with less tension and to use muscles in a more coordinated way. The tension disappeared and my energy and self-confidence improved. This experience motivated me to study the Technique in more depth. I read Alexander books, attended Alexander courses, and met many inspiring Alexander teachers. I was fascinated by this life changing Technique. In 2004 I decided to train to become an Alexander teacher. I studied at Cumbria Alexander Training School in Kendal in the beautiful Lake District for three years, full time. I gained valuable insights into how a desire to achieve goals ‘no matter what the cost’, can cause strained muscles, poor co-ordination and ill health. Reaching our goals becomes more effective when we are in balance throughout the process of getting there. This recognition has deepened my work with my pupils. Gentle ‘hands on’ guidance and step by step explanations are used to help my pupils develop awareness of poor postural habits. Attention is paid to the way goals are reached, so activities become less strained and painful. People of all ages and backgrounds come for lessons and I have helped people with neck and back pain, sciatica, RSI, Parkinsons, arthritis, headaches and sleeplessness. I am currently teaching participants on the University of York ATLAS Neck Pain Trial. My special interest is in movement, voice and creativity. I have a BA (Hons Fine Art) and currently study authentic voice and movement work with virtuoso musician Gilles Petit. 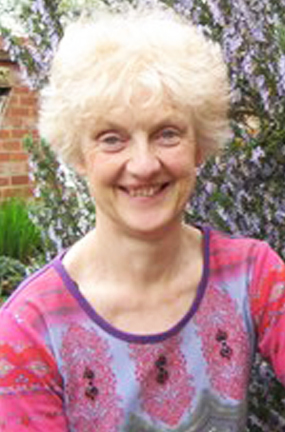 I work at The Clinic on the Green and York Clinic for Integrated Healthcare, and at my private practice in Heslington. I teach at the York Alexander Technique School for trainee teachers, at Hull York Medical School and at the University of York Music Department. I regularly run Alexander classes for Gardeners, and for Parents of young children. I am a fully qualified Member of the Society of Teachers of the Alexander Technique (MSTAT).